Unlike these young sailors in their Optimist dinghies, sailing came to me later in life when I met my husband. 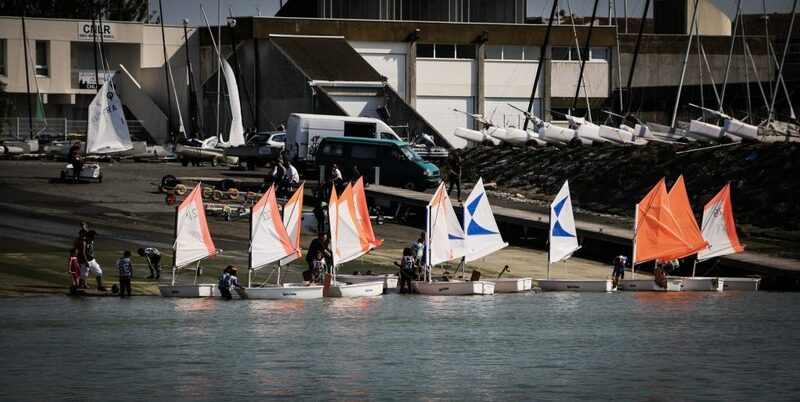 I had a lot to learn but quickly discovered I loved the challenge of sailing and excitement of being on the water. 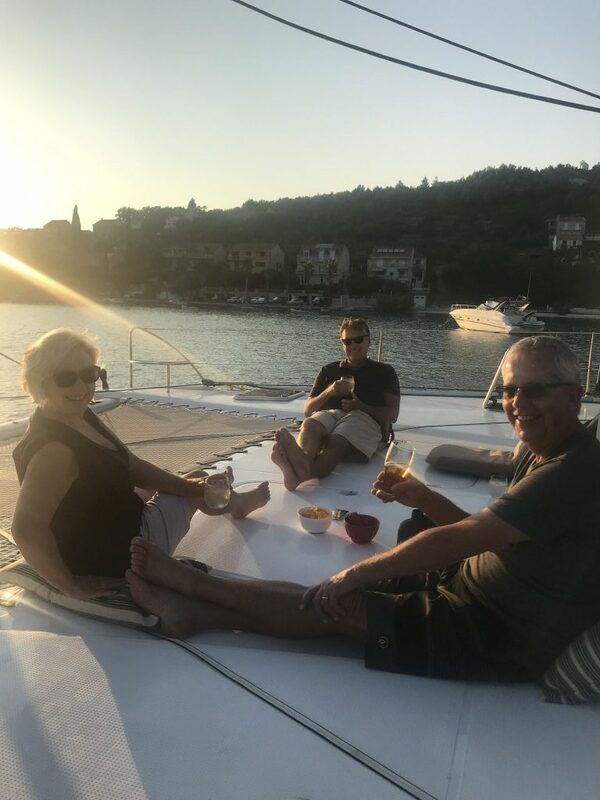 Since then we have owned two monohull yachts; enjoyed several charter sailing holidays overseas and spent a season sailing our own boat in the Whitsundays. However the lure of adventure overcomes fear, and we took our most exciting leap into the unknown, buying a Fountaine Pajot Helia 44 catamaran called “Wild Heart”. We have just completed a 4000 nautical miles journey from La Rochelle, France to Croatia during our first Mediterranean season. As it’s impossible to control the outcome of every situation, here are my tips to help you prepare for the adventure ahead. Know where you are going and plan for your destination. In preparing for a passage, I make the anchorage selection and plot the course using a variety of resources, from destination relevant websites, pilot guides, and paper charts to weather routing software. Sometimes I check Google Earth for a bird’s eye view and Navily for anchorages reviews from other cruisers (some of which are hilarious thanks to Google translate). This can be an activity that you’re interested in or one where you use your strengths and skills. There are loads of jobs on a boat, so you have lots of choice from things like canvas work, budget management, provisioning, managing customs and immigration clearance, the boat technology, berthing or anchoring to name a few. Take an interest and participate in all aspects of boat management. 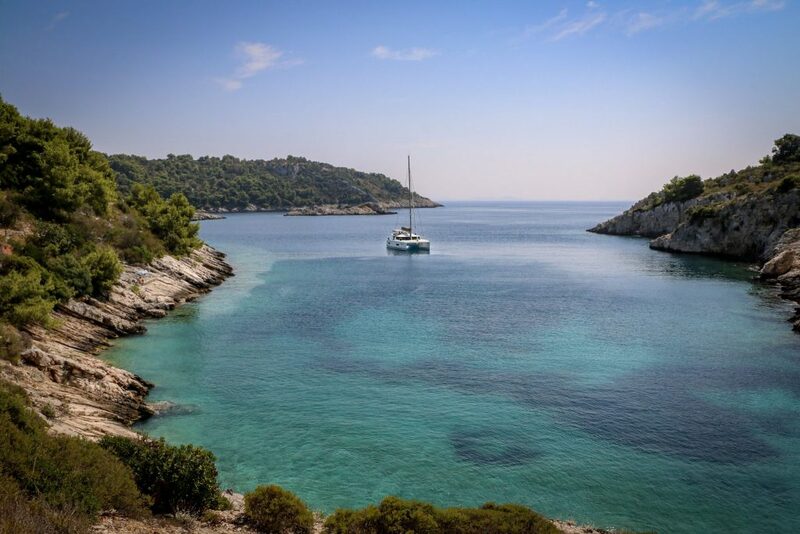 Developing a solid all round knowledge of your boat will enable you to participate in the decisions and choices of cruising life. Your viewpoint will be heard and considered, and many of your concerns will be alleviated through active involvement. Safety is a critical component on any boat. Work to implement and understand systems, procedures, equipment and safety gear that can be used in emergencies. Knowing you have contingencies for potential critical situations is also reassuring. While uncertainties are a part of sailing life, the best possible way to manage the discomfort is to be well informed and prepared. Actively contributing as a crewmember increases your sailing knowledge and gives you the best opportunity to enjoy all the adventures and new experiences that cruising brings.